This race weekend could not have gone much worse for Felipe Massa. He finished last of the unlapped runners. Excluding the retirees, he only beat only the Caterhams, Marussias and HRTs to the flag. In the same race, the man across the garage – The Dashing Spaniard – won the race. For those trolling F1 history in 100 years time, this might look like an anomaly, the result of a seriously topsy-turvy Grand Prix. Future historians, be warned! This was no fluke, no freak of F1 (or Malaysian) nature – oh-no. There was no cataclysmic last lap excursion that led Massa to his classification of misfortune (and the Caterhams were not a midfield team, not yet at least). It is becoming increasingly unlikely, however, that historians will ever make this mistake. Hopefully because Badger is their source for all insight into F1 past, but also because it seems probable that this weekend’s Malaysian GP will form an integral part of any final chapter detailing the end of Felipe’s career in F1. 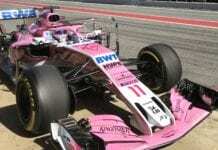 In a race packed full of incident, the man being groomed for his seat – one Sergio Perez – drove a stonker, whilst the man across the Ferrari garage performed peerlessly. Massa was involved in no racing incidents and made no major errors in strategy, yet he still finished over a minute and half behind the Mexican charger. What’s from keeping Speedy Gonzales, the Ferrari Young Driver Programme Driver, from nabbing his seat? Massa’s race took one big hit during the race; in the very middle of the race, on lap 26, he ran across the grass, losing a place to Paul Di Resta and shortly afterwards to the Toro Rosso of Jean Eric-Vergne. This was driver error, but more a result of not being able to get the tyres to work. The next lap, he pitted for a new set. 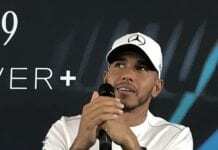 Of those around him, only Button, who finished one place up the road when all was done and dusted, and Rosberg – two places ahead – had to use as many intermediate tyres. In qualifying he was closer to Alonso than in Australia – only 4 tenths slower in Q2, which isn’t bad considering Fernando is one of the best to have ever graced F1. This suggests that, in comparison to Alonso, it was poor car set up, rather then driver performance, which hurt Massa in Oz. The whole “we’ve got a new chassis for Felipe in Malaysia” thing also supports this logic. Since the same set up lessons could not be applied to a wet race, we could say that it was a general understanding of the car, rather than his own performance, that cost him on Sunday. Remember Felipe: you won three-quarters of the races in the 2002 season of Euro Formula 3000. Finally, stopping Lewis Hamilton exit his pit-box, by having a driver pitting from lower down in the running order, can be very useful from an overall Ferrari strategy point of view and a ‘let’s-irk-Hamilton-some-more’ POV. Even the least discerning of readers can probably tell that this Badger nuzzled at the deepest crevices of the barrel to locate positives from the Brazilian’s race weekend. I admit it, to flesh out my case I indulged in some historical research more befitting of an article titled ‘Perez replaces Massa at Ferrari’ (unfortunately, dominating the Euro Formula 3000 is far less impressive than it initially sounds). At this rate, how long before I write such an article for real?